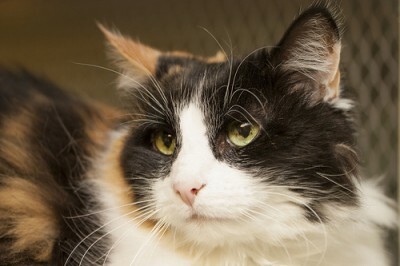 Courage is a beautiful calico female. 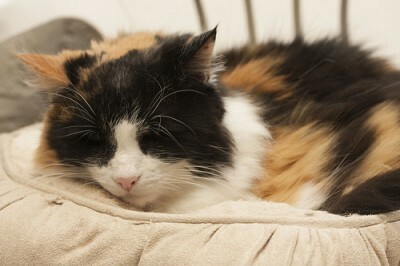 She was abandoned at the shelter in bad condition, but is coming along very well. Despite her bad start after being abandoned, this girl is the most loving kitty who wants nothing more than a cozy lap to sleep on.